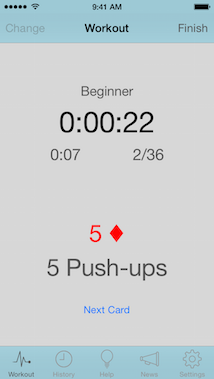 RipDeck is a deck of cards workout that will help you meet your fitness or weight-loss goals. Each suit is a different exercise and the number of repetitions is based on rank. 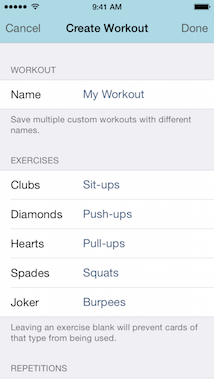 With Ripdeck, you can workout at home, in the gym, when traveling, or anywhere. 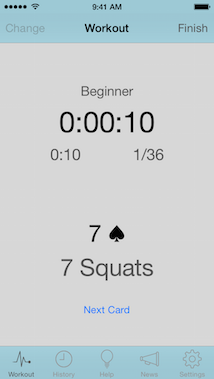 For a change of pace, try creating a deck with the new RipDeck Random Workout generator. 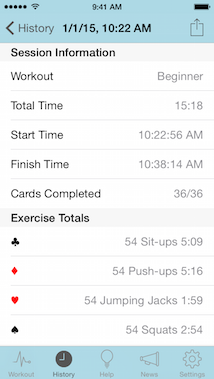 What exercises do you use for the perfect deck? Let us know.